[prMac.com] Seattle, Washington - Qrayon today is pleased to announce the release of Slidecast for the iPad and iPhone. Slidecast allows anyone to produce high quality video presentations right on their iOS device, without the need for a Mac or PC. 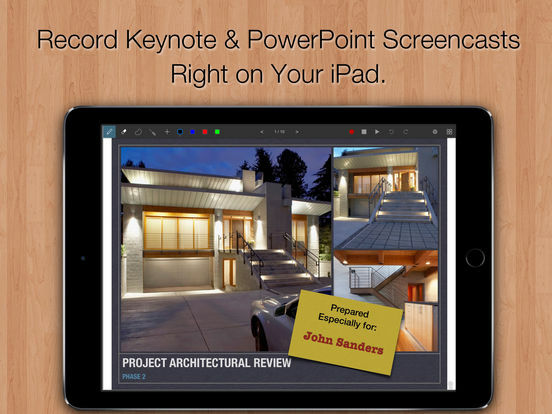 Presentations can be recorded off imported PDF slide decks or documents. Users can also easily create whiteboard-style videos with vector ink and photos. Step 1: Import PDF slides or start with a blank board. Step 2: Tap Record and flip through the pages as you annotate and narrate. Step 3: Everything you say is recorded in sync with the screen. Slidecast is perfect for sales presentations, training videos, remote collaboration, and more. Slidecast can also be used to quickly create whiteboard-style videos. Start with slides or a blank page and present as you would on a whiteboard. This is ideal for instructional videos as well as for rapidly sharing ideas with your colleagues. Also use it to sketch out a proposal, present plans, or review documents. Teachers can use it to prepare a library of video lessons to "flip" their classrooms. Quickly explain everything a student needs about a topic in short video segments. Marketers can quickly prepare video screencasts of their products or services. Creative professionals can use it to record quick descriptions of their ideas to share with remote colleagues. Stay in-touch even when you are away from the office. Slidecast is designed to be as easy to use as a pad of paper. Simply hit record and start talking. This greatly reduces the time and cost to create video presentations. Your videos are also ready the moment you are done. There is no long, cumbersome compression or conversion process to endure. 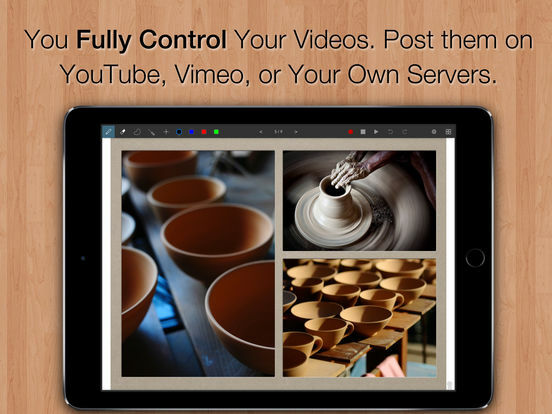 Slidecast produces high-quality videos that you fully own and control. You can edit them in iMovie or other apps. There are no additional royalties or fees to distribute your content. 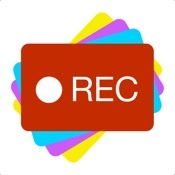 Easily post your videos to YouTube, Vimeo, or the server of your choice. There are two editions of Slidecast. Slidecast (Standard Edition) is Free and available worldwide exclusively through the App Store in the Productivity category. Slidecast Pro has many additional features, and is available as an in-app subscription at $4.99 USD a month (or equivalent local currency).